Hello! 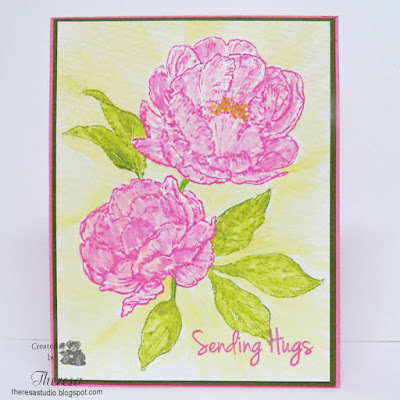 I am sharing 2 cards that I made with stamps from Power Poppy Peony Muse set. The top card was stamped on watercolor paper with Distress Oxide inks Picked Raspberry and Peeled Paint and I colored with a water brush using the same inks plus Fossilized Amber in the background. The sentiment is from Happy Little Stampers Doodled Flowers. Used Pink Card Base and Green CS mat. For the second card, I stamped the same stamps with the same inks on Clear Vellum and let dry overnight. I then filled in the images with Colored Pencils. 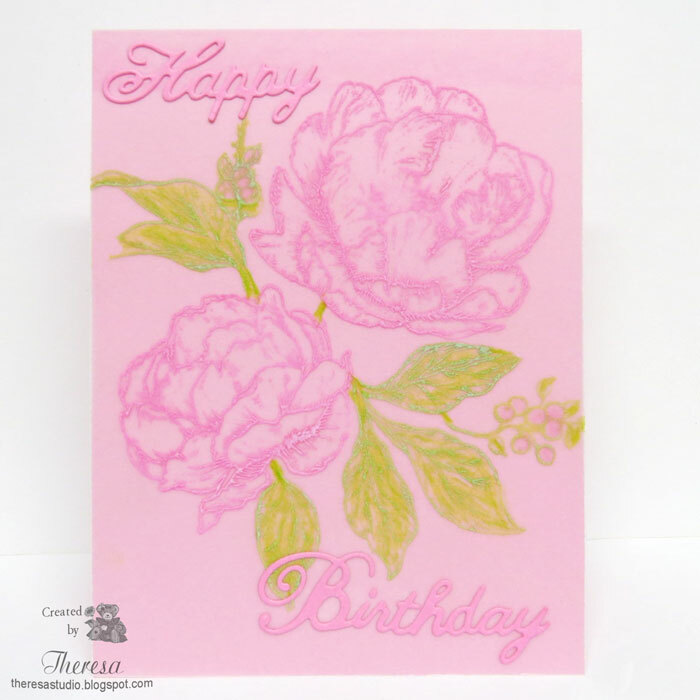 I adhered the Vellum Panel with Vellum tape on to a Pink Card Base and finished with Happy Birthday die cut from the Pink CS using Cheery Lynn dies. This card looks better in real life than it does in the photo. 613 Avenue Create: Challenge 208 Anything Goes with Optional Twist Use Vellum. Cards In Envy : It's Birthday Party Time Card Challenge. Both cards are very pretty and give such a feeling of summer time. 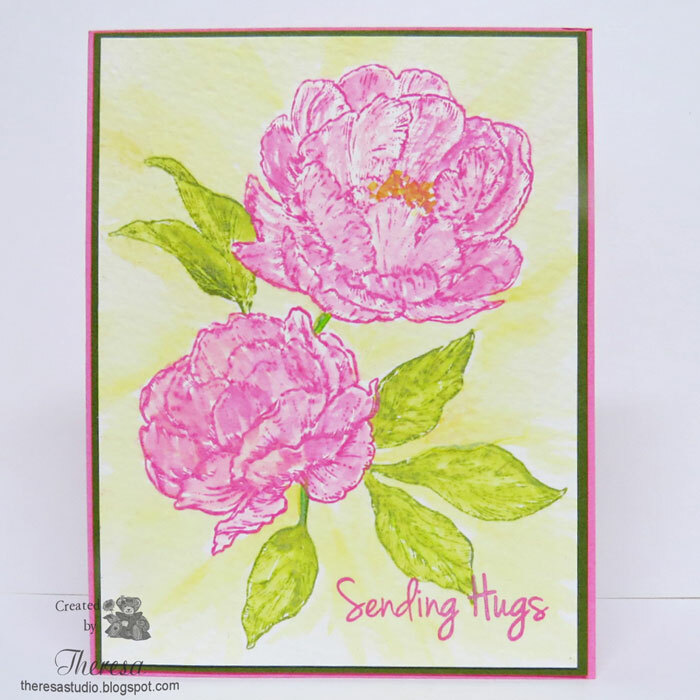 Thank you so much for sharing some flower power with us at the Simon Says Stamp Monday Challenge Blog!! So beautifully done!! I am in love! Thank you so much for entering the MOD Squad Challenge! Wonderful versatile stamps. Two fab creations. Thanks for sharing with us at 613 Avenue Create. Wow, so so so impressive! Love how you colored the flowers! Thank you for joining us over Simon Says Stamp MOnday challenge! Please forgive me if this comment is way later than the challenge you joined in, but i had internet issue. I still wanted to thank you though for playing along with us and to let you know I appreciate your project!